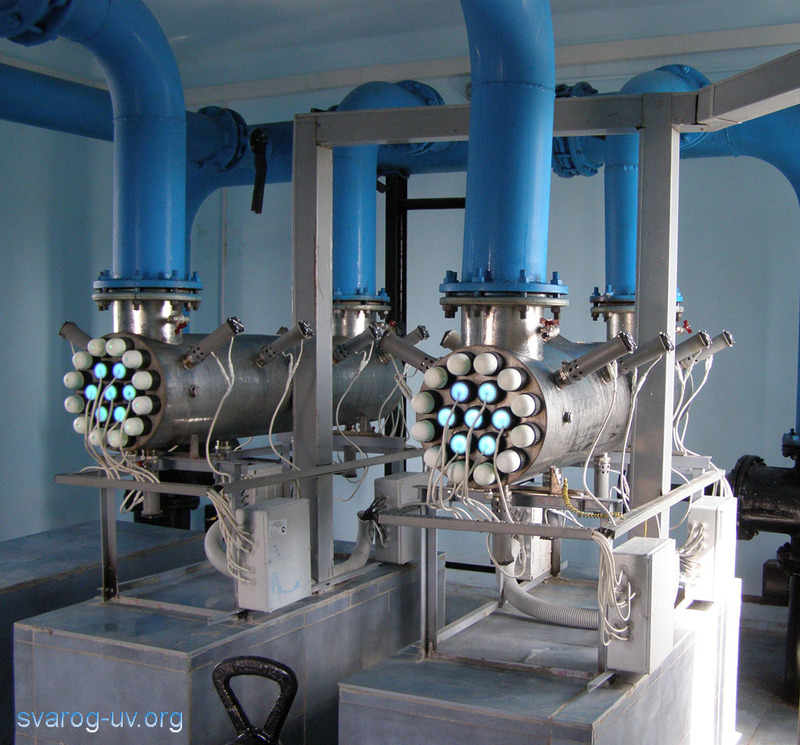 The systems developed and manufactured by the JSC "SVAROG" are widely used in Russia and in many foreign countries. Today already about 2500 systems of different types and capacity created by the company properly operating all over the world. 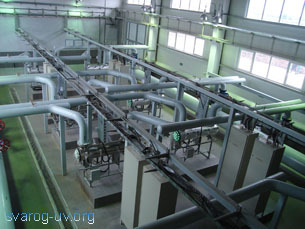 Over the last three years, the yearly volume of production in the field of water treatment has increased three fold. The geography and scale of our activities in this field are demonstrated in the table below. In 1995 – 2010, we have supplied and put in commission 80 systems of different capacities (from 0.5 to 50 m3/h; total capacity of the systems, 90 000 m3/day) intended for fish processing enterprises (Dunedin) and for private houses. In the city of Haifa, water purification stations were put into operation (through a memorandum of understanding with Kal Binyan Tarmac Ltd. Company). 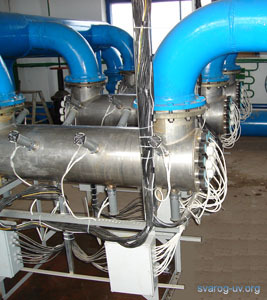 In the years between 2002 and 2010 we supplied and commissioned several systems of different capacities ranging from 3 to 10 cubic meters per hour. 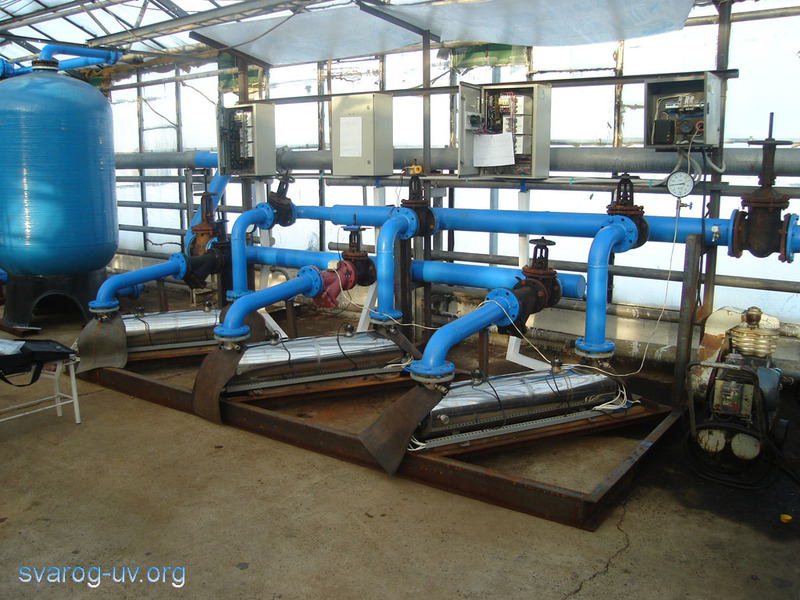 Within the memorandum on understanding with the Sun Kwang Ltd. Company (Seoul), in the city of Inchon, 12 industrial sewage disinfection systems have been supplied (range of treatment capacities, 10 – 50 m3/h; total daily water volume, 6 000 m3). Within the agreement with Darbodgeo Co., the systems for industrial wastewater treatment were supplied and put into operation in the capital city of Asthana. 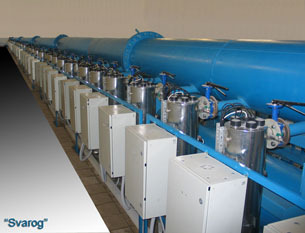 In 2003 – 2010, we have supplied and put in commission 160 systems of different capacities (up to 50 m3/h) with the total volume under treatment 250 000 m3/day). 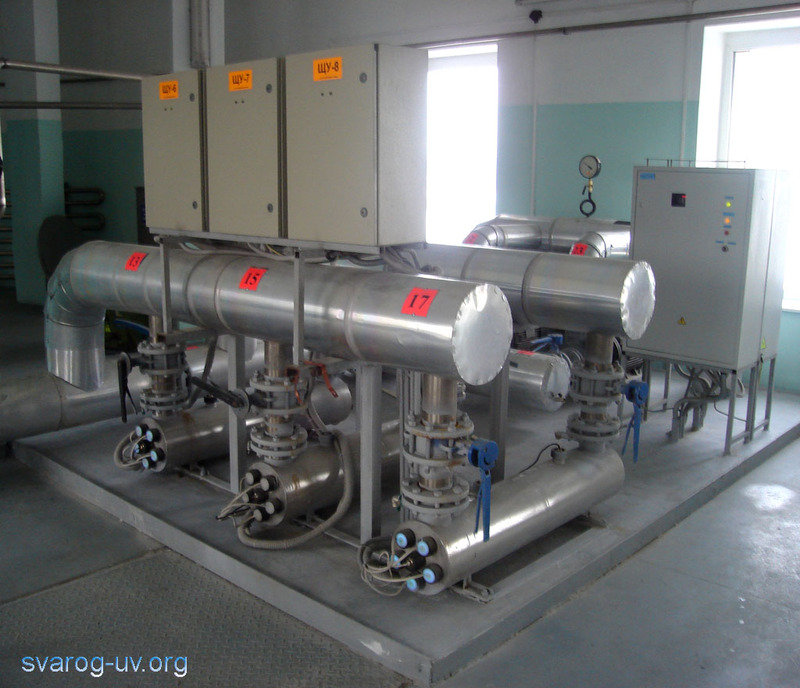 Under the agreement with Fortex Ltd. Company, has supplied 200 water treatment and purification systems for the municipal needs of the city of Grodno (2000 –2010). 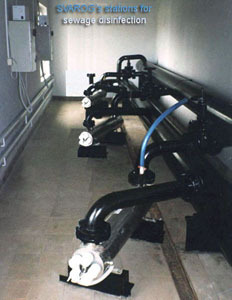 The treatment capacities of the systems varied from 5 to 250 m3/h; the total volume of water under treatment is 90 000 m3 per day. In 2010, JSC “SVAROG” supplied 42 units each of 50 cubic meter capacity for the needs of water supply in industry and municipal economy in Dnepropetrovsk (our Ukranian partner in Dnepropetrovsk is AO Frent). 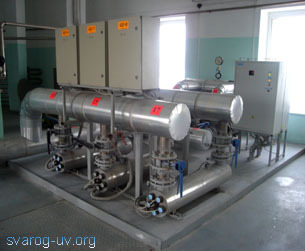 Over the period from 1998 to 2010 JSC "SVAROG" had supplied and put in commission 70 systems of different capacities (0.5 – 10 m3/h; total treatment output of 5000 m3/day) including the equipment for the brewery and private houses in Riga. 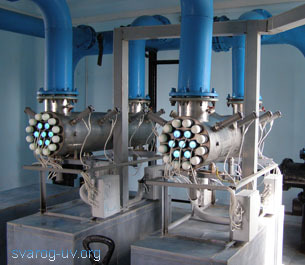 Currently JSC "SVAROG" is performing testing and certification procedures of the Lazur units in Dubai. 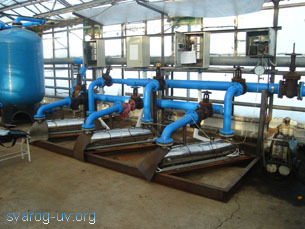 Water after treatment in sewage disinfection station will be used for gardens and landscaping in Dubai (this is the cooperative project with the Magnetic Technology Ltd. Company. 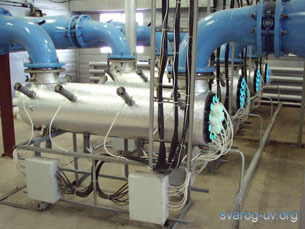 Over the period from 1996 to 2010 JSC "SVAROG" has supplied and put in commission 57 water treatment system of capacity ranging from 3 to 50 m3/h, the total volume of water under treatment reaching 34 000 m3/day. We have supplied the series of systems for fruit processing industry in Cape Town and for private houses in Pretoria (in frameworks of the agreement with SIG Technologies and Rand Water Company of South Africa). 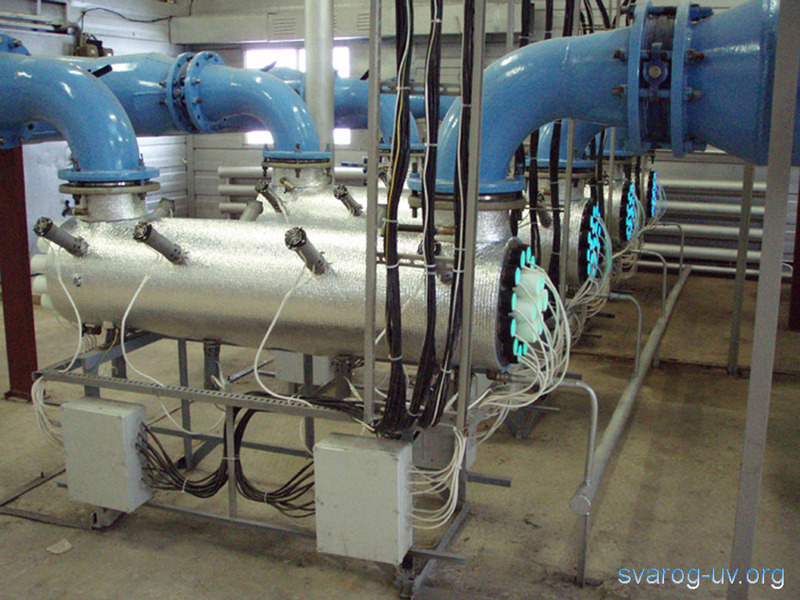 JSC "SVAROG" is open for mutually beneficial cooperation with partners to satisfy the requirements in such a noble sphere of activity as sewage disinfection and water purification.